Written on November 8, 2005, and categorized as Secret and Invisible. She dazzled me in the morning light with a beautiful and natural smile. Today, I have a small bruise. They will have the results on Thursday, and I go back to the doctor’s surgery on Friday to check my blood pressure, and to get the biochemical lowdown. 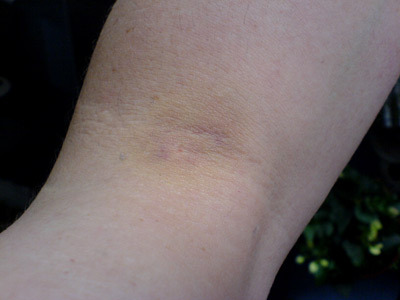 You got a good phlebotomist there, in that Polish doctor – that’s a pretty nice bruise. All our phlebs look like Russian shot-putters. 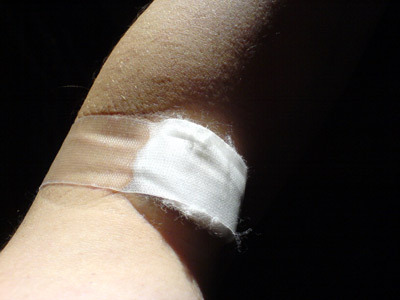 Hope your results come back ok.
One of the last times I had blood drawn, I passed out!! Lucky you! !